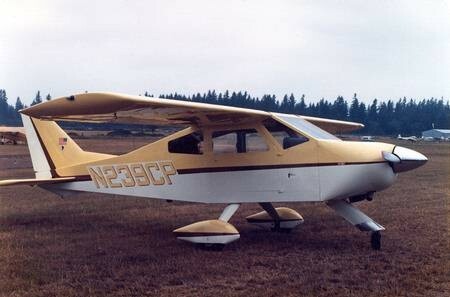 The BD-4 is the first real kitplane in the world. Jim Bede designed and started to sell the kits in 1968, that's almost 35 ago! Despite its age, the BD-4 still is high in demand; no real surprise when you look at the specifications below. It is still one of the fasted 4 seat experimentals, but requires a fraction of building time and financial investment in comparison to younger composite designs. The BD-4 has an excellent safety record. From all experimental designs with a larger number of high time aircraft it is one of the few with no reported catastrophic structural in flight failure. A rough analysis of the accident numbers in the NTSB database since 1983 reveal an accident rate that is about half of the combined other designs. Can seat 2 adults and 2 kids or 3 adults. If built with a fuselage extension it's a true 4-seater.